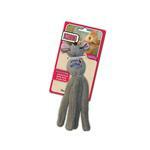 Spoil your feline friend with the KONG® Wubba Mouse Toy for Cats! This KONG® Wubba Mouse toy for cats is specifically designed to appeal to a cat's instinctive desire to stalk and capture prey. 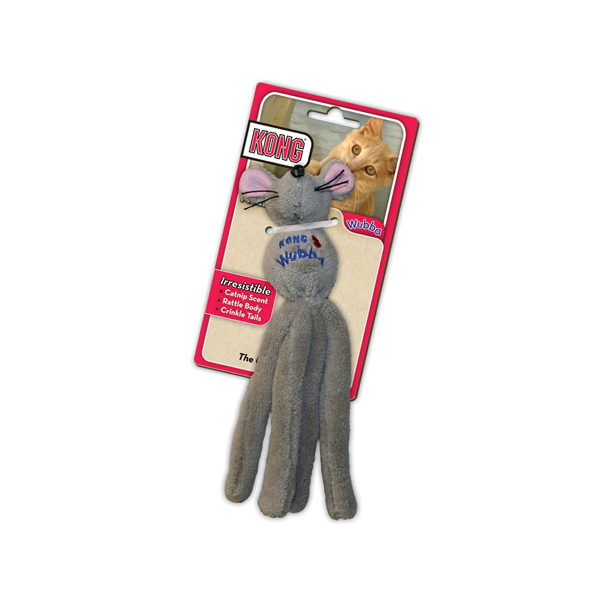 This toy combines the traditional cat Wubba shape with a rattling plush mouse, and is infused with natural catnip! The tails crackle when your cat contacts them, encouraging continued play. It's the perfect addition to your cat's toy box! This little mouse will give your feline pal hours of hunting fun! I'm a Fashion Student who loves Baxterboo and my Peke does too. Stylish, High Quality Apparel for my Fashionable Pekingese.